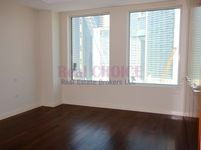 1 month rent free for furnished office ! Fantastic Sea View|1 Bed|Reduced Price!!! 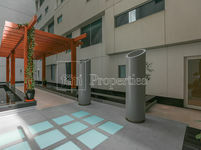 Just Property website offers the opportunity to make searchers find a huge array of properties for rent in DIFC. The search process is so easy, no more hassle with real estate agents and checking sign boards on buildings. No more saving numbers of property owners and checking by yourself. The website here has a wide selection of properties in this area, once you find a nice choice, call the real estate number and start the moving procedures. Dubai International Financial Center, as known as DIFC, is one of the largest financial centers in the middle east, in fact, it’s a pivotal business hub for the Middle East region, North Africa, Asia, and Europe. The robust infrastructure of this business district makes it very popular for investors willing to start business in Dubai. Many job hunters also head to DIFC in order to find a place in any of its prominent corporates, it’s a melting pot that has all nationalities working together to compose a unique ecosystem unrivalled by any other business area around the region. Not only business and commercial properties, the area integrates also a high end residential community that bounds with a lot different types of residential units. Dubai residents can find a wide set of luxury homes in DIFC attached where they can enjoy full comfort and serenity. All units have access to an array of amenities like swimming pool, sauna, steam bath, fitness gym, sports venue, and many other. Located on Al Sa’ada street, the DIFC lies in a central location in the heart of Dubai. 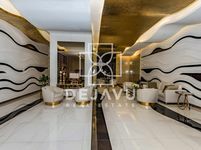 It’s in close proximity to several high end hotels Emirates Grand Hotel, The Ritz-Carlton Dubai International, Al Salam Hotel Suites, and many other. The project tenants are also bound to enjoy an extended variety of restaurants displaying copious cuisines like Burger & Lobster that lies only in front of the project, Gazebo Restaurant, Zuma Restaurant that offers several Japanese plates, and La Petite Maison, which is a French-Italian restaurant. 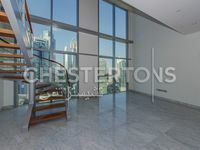 A wide selection of displayed properties for rent in DIFC is available including apartments, duplexes, penthouses, hotel apartments, and other. Rental price in Dubai International Financial City starts from AED 63,000 for a well maintained and totally furnished studio. Apartments’ prices start from AED 100,000 for a semi furnished two bedroom apartment. The units are well suited for all segments of users. They range in size from studios to five-bedroom apartments. Most of the units have access to fitness gym, BBQ area, children's play area, swimming pool, and other pleasures. To complement the perfection of living experience in DIFC, the district connects to Dubai Metro through Financial Center station. It’s just a matter of time until you find a convenient property to rent in DIFC. Just check the displayed properties, and contact the real estate agent either for inquiring about more information or for reservation. The renting process is easy in Dubai, signing a contract needs handing official papers which are visa and ID, once the contract is signed, the tenant is eligible to use his property freely.